Join us October 23rd at Crooked Letter Brewery in Ocean Springs, MS! Blue Earth Productions will present live music featuring DPlay + Got Groove. Doors open at 6:00 p.m.
A $100 donation for tickets is encouraged. Since Roger Wicker refuses to debate David and let the voters hear from the candidates we are taking the campaign on the road to give voters the chance to hear from the Democratic nominee. 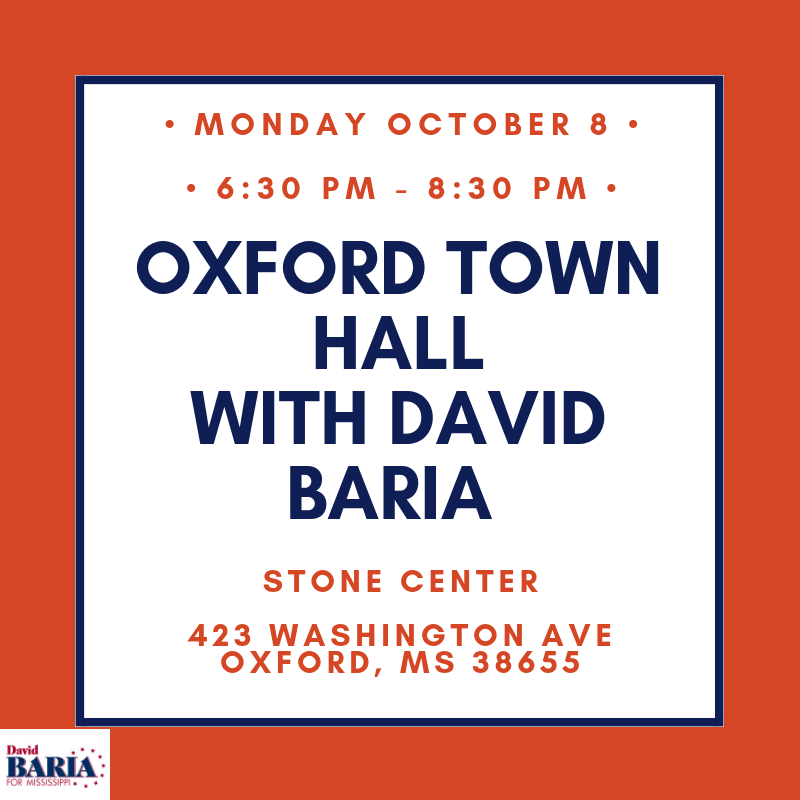 This town hall is open to the public and David will be taking questions directly from the voters. Join us October 8th at Stone Center in Oxford, MS from 6:30 p.m. - 8:30 p.m.
Join us October 2nd at First Choice Catering in Horn Lake, MS from 6:30 p.m. - 8:30 p.m.
Join us September 27th at the historic 100 Men D.B.A. Hall in Bay St. Louis, MS! This concert will feature The Electric Sheep and Grammy nominated Mississippi Hill Country Bluesman Cedric Burnside. General admission doors open at 7:00 p.m.
Limited amount of tickets starting at $100. Join us August 25th at the Magnolia Ballroom in Pascagoula, MS for a night of fun! 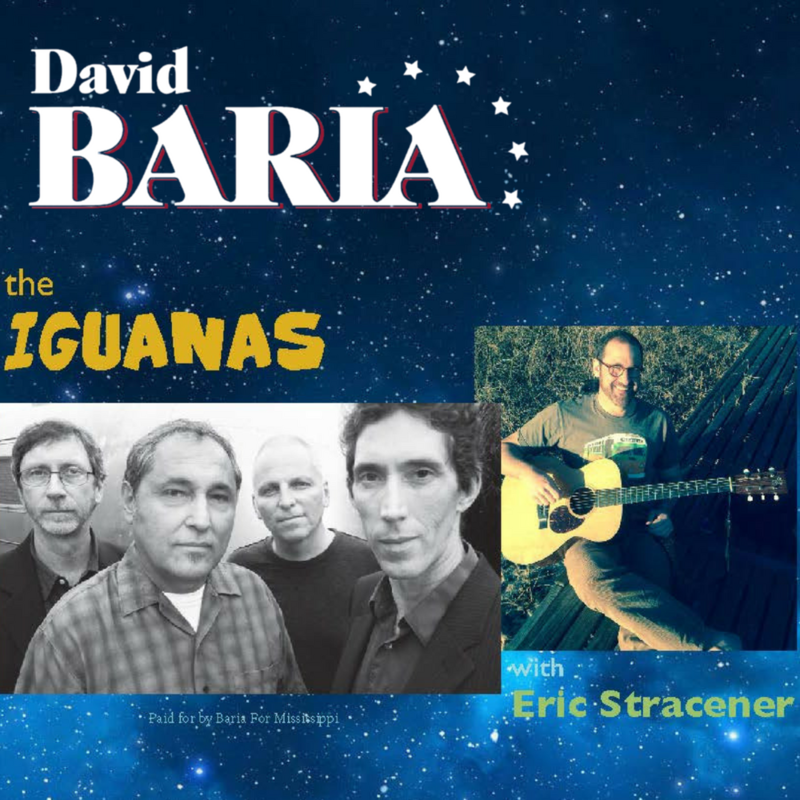 This concert will feature The Iguanas and Eric Stracener. Doors open at 6:00 p.m.
Join us at the Neshoba County Fair! David will be speaking at the fair around 9:40 AM on August 2nd.